Professional space guy Neil DeGrasse Tyson is in trouble, and for once, it’s not about injecting unwanted reality into sci-fi movies or deflating some of the rare wonder on an eclipse. Per The Hollywood Reporter, Tyson is being sued by a former business partner, who’s accusing the celebrity astronomer of fraudulently pushing him out of a talk show they created together, and using his photographs without copyright or permission. 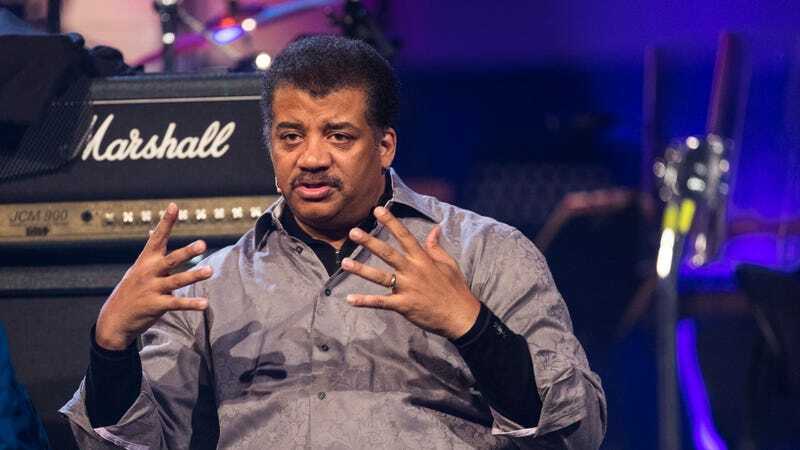 The case is being brought against Tyson by David Gamble, one of the co-creators of the podcast-turned-web-video-turned-TV-series StarTalk, in which Tyson discusses science topics through interviews with various celebrities. Gamble’s attorneys say that Tyson and fellow co-creator Heather Matsos began “systematically excluding” him from the show after he began undergoing daily dialysis treatments for a kidney disorder, ultimately prompting him to sell his share of the show, on the understanding that Tyson would soon be leaving it anyway. Instead, StarTalk landed a TV deal with National Geographic, where it debuted its third season last September. Gamble also contends that Tyson has used photographs Gamble took of him for promotional materials, both for StarTalk, and for his various live appearances. Gamble is suing Tyson for copyright infringement, fraud and breach of contract; you can see the full court documents here.